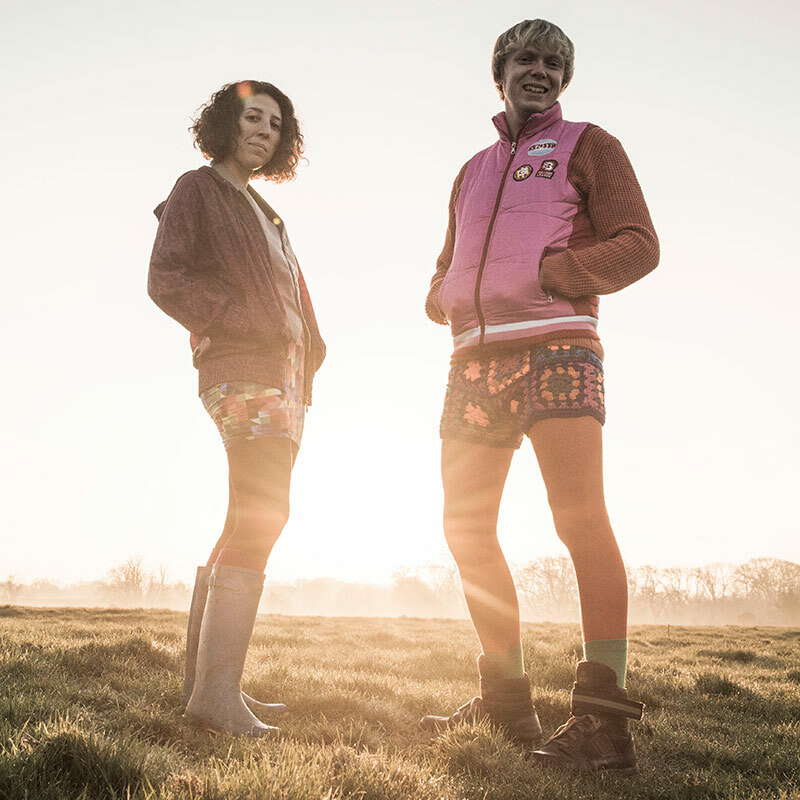 Billy Bottle & Martine met studying music at university in 1999, lost touch, subsequently remet and now live on a farm near Ipplepen in Devon. Billy’s influences include the Canterbury scene, an obsession which led to the pair having a fruitful recording and gigging relationship in Japan and the UK with Caravan’s Dave Sinclair since 2008. Since 2011, their teaching practice has led to a long-term collaboration with ROC Creative, an arts project for people with learning disabilities. They have also spent many years providing entertainment for the elderly at care homes and day-centres. In May, in the run-up to the general election they performed at 49 towns in a week, travelling one train stop at a time in an experimental ritual called Don’t Just Vote. In collaboration with social entrepreneur Dougald Hine, and Billy’s brother Ed, they asked the public the question ‘who’s got the power?’, arriving on a milk float in Parliament Square on May 7th to deliver a pint of milk, charged with the power of the people.